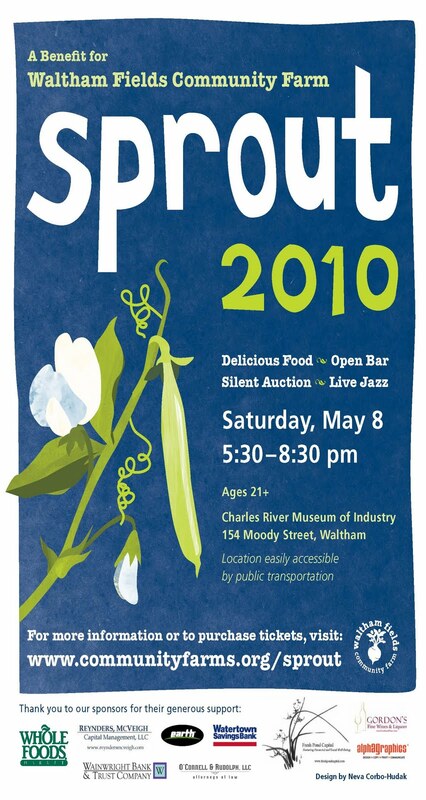 Waltham Fields Community Farm is holding their annual Sprout Silent Auction on May 8th at the Charles River Museum of Industry, 154 Moody St., Waltham. Waltham Farms promotes local agriculture through growing and distribution practices that are socially, ecologically, and economically sustainable. Their mission is to forge relationships between people, their food supply, and the land from which it grows. 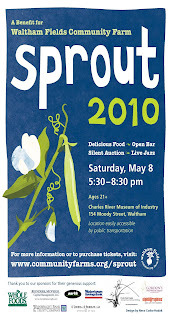 Tickets for the Sprout Silent Auction are $35 and include an open bar, delicious food, and live jazz music provided by the Valerie Walton and Tad Hitchcock Trio. Boston Handmade members Pansy Maiden and Fraske Designs have both donated items to be auctioned to benefit this outstanding organization. If you are a local business and would like to contribute an item or service to the Sprout Silent Auction, please leave a comment here and I will let you know how to proceed. Please consider supporting Waltham Farms by attending this event and/or providing an item to be auctioned.